Each Career track has two opponents to beat. The first is the standard opponent. The second is a faster Ace time. The first time you play a track you'll be paired against the standard opponent. Once you beat the standard opponent, you can replay the track to beat the Ace opponent. If you happen to beat the Ace opponent's time on your first try, you will not need to play the track a second time to unlock the Ace time. 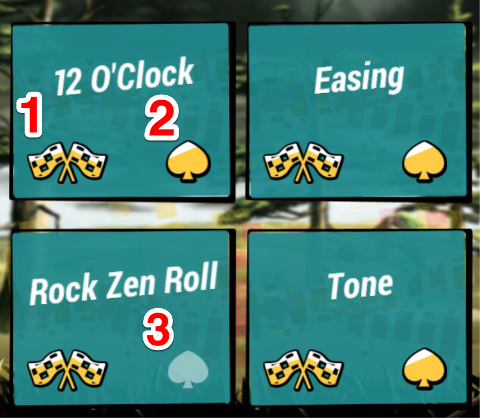 You can tell which standard and Ace times you have already beaten by the icons on each track card.